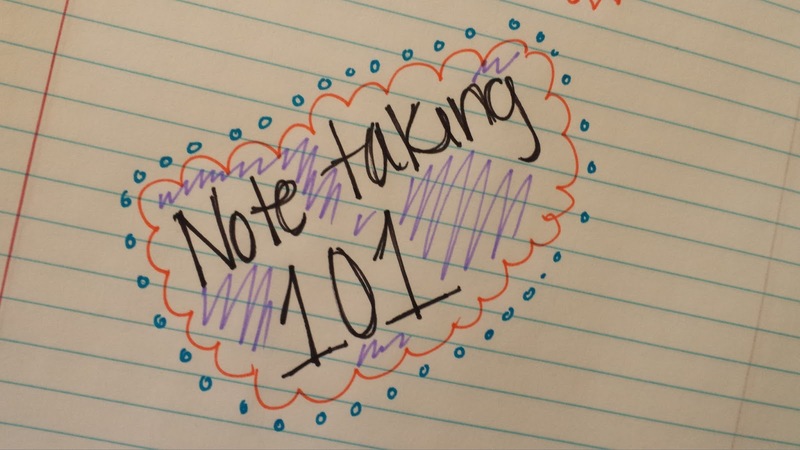 So for those of you still in search of the perfect note taking system, here are some of my tips for you! To correctly take notes you must understand what works best. Handwritten notes are always the better option, but I know there are classes where the professor does not give you proper time to catch up. In these kinds of classes, if you can type faster than you can write (in which most cases you can) opt out for your computer instead. I take my notes by hand, so a few of these tips will be directed to only hand written notes. For the classes I most struggle with, such as history, I have a coding system. 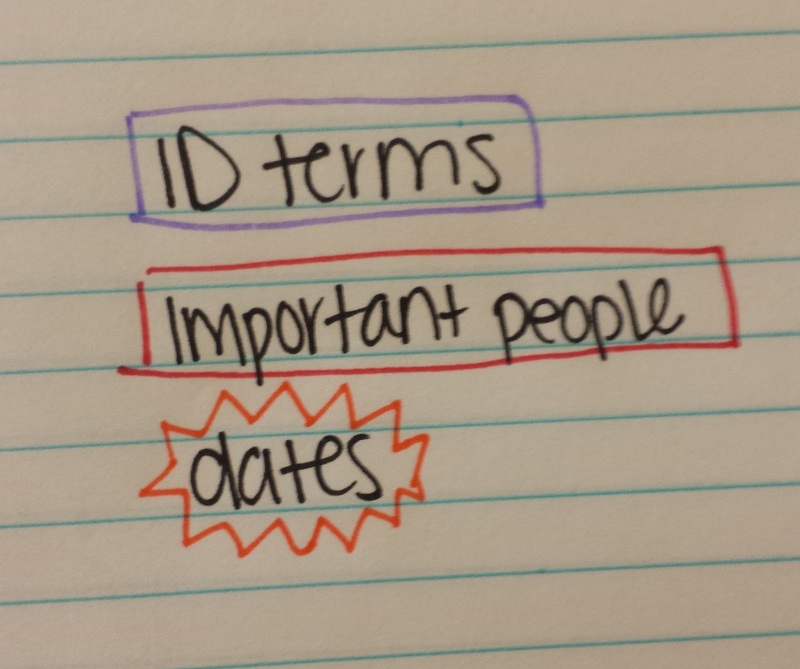 I separate Main ideas, sub-ideas, key terms, important people and dates all with different colors. I do this to easily note what I must know, and where the information begins and ends. Speaking of major ideas, a majority of teachers, in college I mean, will read off power points. In this case they will have a general outline for you, if this is the case don’t forget to write titles and subtitles, so you can reference back easier. If you need to know the formula for a specific equation in science you can look at titles so you can sort your way through your notes. Bullet points are essential for great note taking. If you write in paragraphs you will never be able to find anything. You can use an asterisk(*), an arrow (–>), a dash (-), and even a dot as bullet points. This is what I found interesting and what occurred due to what I wrote. Make sense? I like to box key terms, I use this weird cloud around dates and I box important people. You can decide what you want to box, if you even decide to do this. Here you can see I boxed my key term in purple, important people in red, and dates in orange. 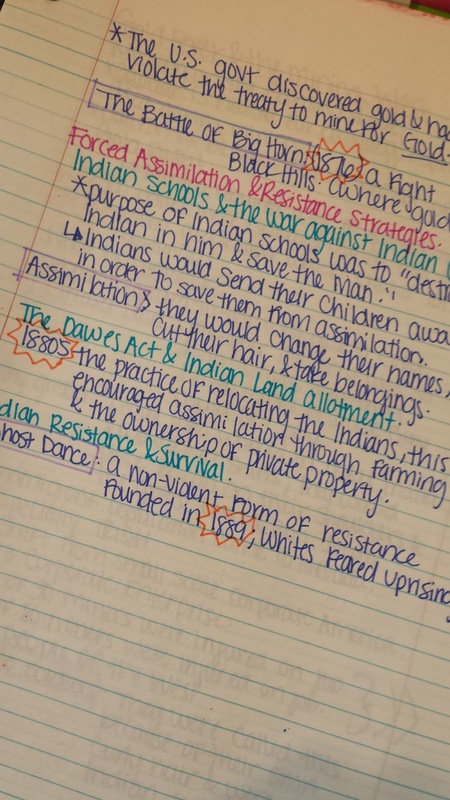 These are the actual colors I use for my notes. Write as if you are speaking. You do not want to write things you do not understand just because your teacher has written it up there; if you don’t know a word, but would like to have it in your notes, in (parenthesis)write a synonym so you can understand it later. CAPITALIZE things that are of importance! It will stand out and you will reread it each time you pass by. Shorten things to gain more time for your note taking. I always use: &, w/ (this means with) , and I usually take away the word “the” to titles, if it will make sense without it, just to save time. I also use words like “govt” for government and “nat’l” for national. You can use what you’d like, these are just things I’ve picked up as I’ve grown up. DO NOT USE HIGHLIGHTERS! Highlighters are not your friends! they will not help you memorize anything. You will highlight it and forget it. 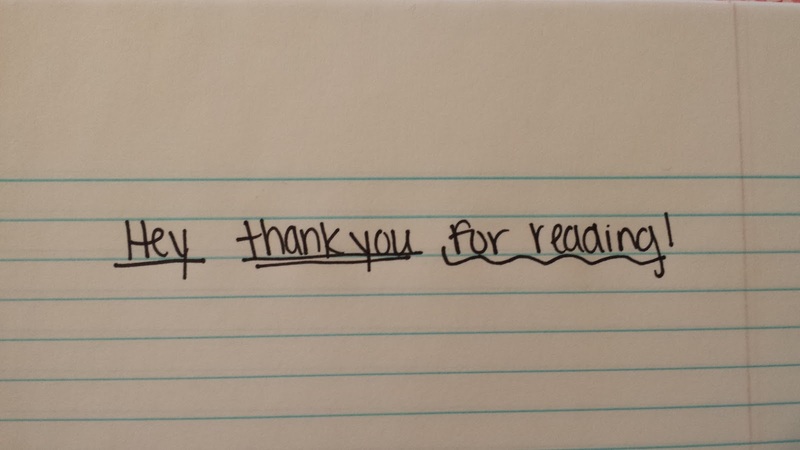 This might sound dumb, but rewrite your notes! You may not need to all the time, but if you seem to be scratching something out, you missed something or your mis-colored something. REWRITE! These are all indications that you did not grasp something correctly and going back and changing it will help. BELIEVE ME. I hope these tips helped or made sense. You know if you need any clearing up, you can always ask me!